I think I’ve felt it more this year than any other year – the cheery distractions of society’s Christmas traditions. The world points us to every other thing during the season – even good and beautiful things – to take our minds off the moment in history that started it all. God’s bold move to change the fate of the broken spirit. It’s been hard to find a moment to think and reflect this holiday season. There is visitor after visitor, friend after friend, task after task, deadline after deadline, Christmas tradition after Christmas tradition that must be attended to. This happens every year. And although I had made all the preparations to make my Christmas season as warm and bright as possible – an (almost) only Christmas music diet this whole month, decorating my very own little Christmas tree for my first apartment, hosting a holiday party, among other things – all these welcomed the Christmas spirit, but distracted me from sitting by the manger, eyes on the little Baby who would mend all the broken hearts of this world with Life. That’s where my Christmas warmth and light comes from. Earlier this advent season, I opened up a large book sitting among my coffee table books – a hard bound collection of poetry, bought a long time ago at a second had bookstore. 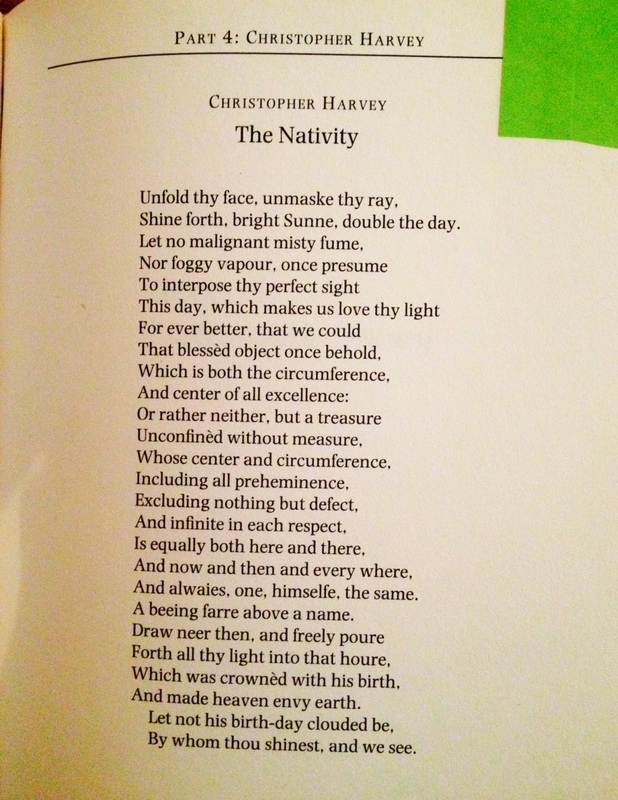 In its pages I found a Christmas poem that struck me, one I have read and re-read over the past few days to reflect on the light of the advent season. May it also lead you back to your Bethlehem.